What is the AAT Level 2 Foundation Certificate in Bookkeeping & Level 3 Advanced Certificate in Bookkeeping package? The AAT Level 2 Foundation Certificate in Bookkeeping & Level 3 Advanced Certificate in Bookkeeping package has been developed by our team of course specialists to bring you the very best in AAT training in the specialism of bookkeeping. We have tailored this package to give you an accelerated route that will help you to claim many rewards including more lucrative job roles, AAT Associate status, and an unrivalled skillset. This course package includes the AAT Subscription fee worth £44. Is the AAT Level 2 Foundation Certificate in Bookkeeping & Level 3 Advanced Certificate in Bookkeeping package right for me? The AAT Level 2 Foundation Certificate in Bookkeeping & Level 3 Advanced Certificate in Bookkeeping packageis ideal for anyone looking to become an independent Bookkeeper, or anyone looking to become a vital part of an accounts or finance team. Your skills will be developed from a beginner/entry to an advanced level which will lead you to roles with more responsibility. How will the AAT Level 2 Foundation Certificate in Bookkeeping & Level 3 Advanced Certificate in Bookkeeping package advance my career? The AAT Level 2 Foundation Certificate in Bookkeeping & Level 3 Advanced Certificate in Bookkeeping package will set you on your way to becoming an independent Bookkeeper using tried and trusted bookkeeping principles and AAT’s qualification credibility in the finance industry. 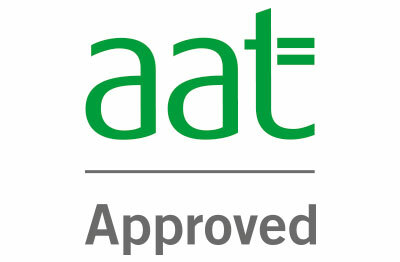 Once you have successfully passed the AAT Level 3 Advanced Certificate in Bookkeeping, you will be eligible for AAT Bookkeepers (AATQB) status, which will give you the opportunity to achieve Associate bookkeeping membership with AAT and the designatory AATQB letters. Why study the AAT Level 2 Foundation Certificate in Bookkeeping & Level 3 Advanced Certificate in Bookkeeping with e-Careers? What modules are included in the AAT Level 2 Foundation Certificate in Bookkeeping & Level 3 Advanced Certificate in Bookkeeping package? What does the AAT Level 2 Foundation Certificate in Bookkeeping & Level 3 Advanced Certificate in Bookkeeping package cover? Hello, I am interested in your "AAT Level 2 Foundation Certificate & Level 3 Advanced Certificate in Bookkeeping".